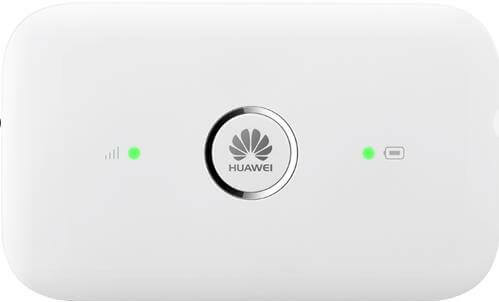 Huawei E5573 is an LTE Cat.4 Mobile WiFi hotspot router. It supports the peak download speed up to 150Mbps and uploads speed to 50mbps. It is in the unlocked condition with Auto APN setting. It works with Airtel, Aircel, Vodafone, Idea, Tata Photon etc. All Indian network tested on the router. The most common version could support 4G FDD-LTE 800/900/1800/2100/2600MHz, this makes this hotspot could work with most of the network providers. Huawei E5573 also work well with DC-HSPA+/UMTS networks when 4G LTE network is not available. The 3G network connection speed could reach 42Mbps. The device is equipped with Wi-Fi module, which operates at a frequency of 2.4 GHz, as well as 5 GHz. As a mobile hotspot, E5573 will share the networks for up to 10 wireless devices, and also one can be connected directly with its USB cable. Huawei E5573 is equipped with a MicroSD card slot, which allows users to insert extended SD card to 32GB. So users could share the files in the SD with the connected devices. The battery of Huawei E5573 is only 1500mAh Li-pol, which could keep working for around 6 hours while the standby time up to 300 hours.